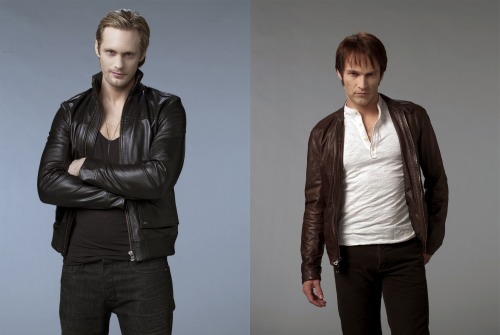 Thanks again for everyone who participated in the poll for Eric Vs. Bill in the Sookie series. Since we added the polling feature (which didn’t allow people to vote twice) we were able to get an indisputable answer in the question of Eric vs. Bill? And the winner is…Eric with a whopping 84%!! I have to tip my hands to all you Eric fans out there. You are loyal followers and really banded together to bring in the votes. Bill fans did a nice job as well. At one point there was only 8% going for Bill, so the fact that you guys ended up with 16% is a testament to all your efforts! Does anybody have another poll you’d like to see? If so, let me know and we’ll set it up!